With so many teams still in the playoff hunt, it's still a seller's market. As a result, many teams may wait until the eleventh hour before pulling the chute on their season. 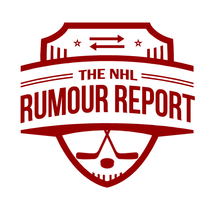 In today's Rumour Report, we look at what we might expect all 30 teams to get up to in the last few days before the deadline. Anaheim Ducks - Buying. Looking for help on the wings and may dangle their blueline depth. Teams continue to express interest in defensemen Sami Vatanen, Shea Theodore, Brad Montour and Jacob Larsson. Arizona Coyotes - Selling, big time. Michael Stone is already gone; Radim Vrbata, Martin Hanzal and perhaps Shane Doan to follow. Boston Bruins - Buying. Big pressure on the front office to make the playoffs following the firing of Claude Julien. Buffalo Sabres - Leaning towards selling, but recent strong play has them within striking distance of a playoff spot. Dmitry Kulikov, Cody McCormick and Cody Franson are available if they do end up selling. Could wait until right before March 1st before deciding which direction they're taking. Calgary Flames - Some wondered if they'd sell, but their trade for Michael Stone indicates they're going for it. In the mix for the 2nd wildcard spot. Carolina Hurricanes - Looks like they're selling. Still within striking distance of the playoffs, but focussed on the future. May use defensive depth (Ryan Murphy, Ron Hainsey) to strengthen up front. A darkhorse in the Duchene sweepstakes. Chicago Blackhawks - Likely standing pat. Would make a small addition, if anything, but they don't have cap space to play with. They do seem to be pretty busy making calls, so we'll see. Colorado Avalanche - Sell, sell, sell. Duchene, Gabriel Landeskog, Francois Beauchemin, John Mitchell, Mikhail Grigorenko, Patrick Wiercioch and Andreas Martinsen are available. Columbus Blue Jackets - Seems quiet in Columbus, but we'll put them as a buyer. Rumoured to be looking at center upgrades. Dallas Stars - Leaning towards selling, but may look to upgrade in goal. It doesn't appear to be their year. Patrick Eaves, Patrick Sharp, Ales Hemsky, Johnny Oduya and Lauri Korpikoski are all potentially available. Detroit Red Wings - Selling. Though not entirely out of the playoff hunt, it's time for them to recoup some assets and rebuild. Thomas Vanek, Tomas Jurco and Brendan Smith could all be on the way out. Edmonton Oilers - Buyer. Looking at Kevin Shattenkirk, Brian Boyle as well as exploring the backup goalie market. Would love to find a taker for Benoit Pouliot. Florida Panthers - Likely buyer. A late season surge has them back in the playoff mix, and they have expressed a desire to bolster their powerplay. Tomas Jurco is a rumoured target. Los Angeles Kings - Buyer. Have kicked tires on Landeskog, Doan and Jarome Iginla. Would like to find a taker for Teddy Purcell, who continues to bide his time in the minors. Minnesota Wild - Buyer. Interested in Hanzal and Matt Hendricks, among other names. Teams continue ask on the Wild's defensive depth, but they likely hold onto their depth for a deep playoff run. Montreal Canadiens - Mostly buyer, but could do some selling as well. Interested in Duchene, Landeskog, Hanzal and Burrows. Looking to find takers for Tomas Plekanec and Greg Pateryn. Nashville Predators - Buyer. Among the many teams that have expressed interest in Duchene. Would like to find a trade partner for recently demoted Mike Ribeiro. New Jersey Devils - Seller. Have slowly slipped out of the playoff hunt, and will look to trade pending UFAs PA Parenteau and Kyle Quincey. New York Islanders - Appear to be buyers. Have taken strides under new head coach Doug Weight, and find themselves back in the crowded playoff picture in the East. Interested in Duchene and Ryan Spooner. Teams continue to show interest in Ryan Strome and Travis Hamonic. New York Rangers - Buyer. Have expressed interest in Shattenkirk, Doan, Alex Burrows and Matt Hunwick. Philadelphia Flyers - Could head towards sell mode, but still in the wildcard dogfight. Mark Streit, Steve Mason, Michal Neuvirth, Michael Del Zotto, Jeff Schultz and Matt Read could be made available. Pittsburgh Penguins - Buyer. The long term injury to Olli Maatta gives them the cap space to go big game hunting. Have expressed interest in Duchene and Landeskog. Ottawa Senators - Buyer. Have expressed interest in a Colorado trio - Duchene, Landeskog and Beauchemin. San Jose Sharks - Buyer. Looking at Doan, Shattenkirk, Hanzal and Spooner as potential options. St. Louis Blues - Part buyer, part seller. Shattenkirk and Patrik Berglund are available, but may look at cheap rentals as well. Have looked at goalie market as well, but Jake Allen's play has improved in recent weeks. Tampa Bay Lightning - Still feel they're in the playoff mix, so as of this post they're standing pat. If they do become sellers, hoo boy. Many names out there, including Ben Bishop, Brian Boyle, Braydon Coburn and Jason Garrison. Toronto Maple Leafs - Might do a bit of both. Looking at minor upgrades (Boyle?) and could move out some of their blueline depth (Roman Polak and Matt Hunwick come to mind). Teams have called on James van Riemsdyk, but very doubtful he moves in-season. Vancouver Canucks - Seems like they can't decide, but trending towards seller. Burrows, Ben Hutton, Ryan Miller and Jannik Hansen are available if they do end up selling. Washington Capitals - Probably won't be overly busy at the deadline, but may look add some blueline depth. Winnipeg Jets - Likely standing pat. Would be big sellers (Drew Stafford, Mathieu Perreault, Paul Postma and Michael Hutchinson) if they were out of it, but they're still in the playoff hunt at the time of this post.